A new study published in the Indian Journal of Medical Ethics examined cervical cancer rates among women in Sweden and discovered a link between increased cervical cancer rates among women aged 20-49 during a two-year period between 2014 and 2015, corresponding to increased HPV vaccination rates in this population group, years earlier, when mass HPV vaccinations started in Sweden. Women above the age of 50, during this two-year period, saw no significant cervical cancer increase, as they probably would not have been vaccinated with the HPV vaccine. Since the study casts doubt on the efficacy of the HPV vaccine, and, in fact, links the vaccine to increased cancer rates, it is highly unlikely you will read about this in the U.S. corporate-sponsored media, where nothing negative about the blockbuster HPV Gardasil vaccine is allowed. The dangers of the Gardasil HPV vaccine are routinely censored in the U.S., where the official medical and government position on the vaccine is that it is "safe and effective." 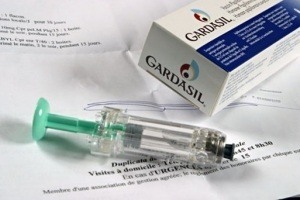 Enjoying legal immunity in the U.S. for any harm suffered as a result of the Gardasil vaccine, Merck and the U.S. government are seeking to increase the market for the vaccine. News outside the U.S., however, is very different. Some governments, such as Japan, no longer recommend the vaccine, and there are lawsuits suing for damages resulting from the HPV vaccines in numerous countries. 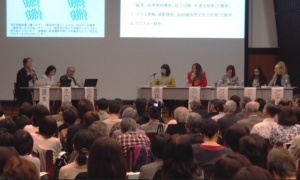 In March of 2018 an international symposium was held at the University of Tokyo and attended by representatives from the UK, Ireland, Japan, Colombia and Spain to discuss the needs of victims who have suffered, and in some cases died, as a result of the HPV vaccine. They discussed both the medical and legal needs of HPV vaccine victims. Representatives from these 5 nations, which include scientists and medical professionals, have issued a joint "Global Statement" regarding the victims of HPV vaccines that you are not likely to read in the U.S. corporate-sponsored "mainstream" media. In this "Global Statement," experts from these 5 nations are calling to "Suspend recommendation of HPV vaccines for routine immunization, until a safer system is established ensuring that serious side effects are avoided," and to "refrain from actions that discriminate against, or slander HPV vaccine victims." We republish the press release and Global Statement in full here at Health Impact News. 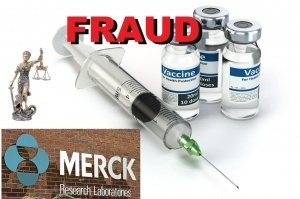 Pharmaceutical giant, Merck, is facing charges of fraud in lawsuits filed in U.S. courts regarding their vaccine products. This is important information for the public to know, given the fact that the ever-growing vaccine market is expected to exceed $70 billion within the next few years, and that many states are trying to pass legislation to mandate vaccines without informed consent, all in the name of "the greater good" for public health. Federal government agencies tasked with protecting public health, along with the corporate "mainstream" media, which reportedly receives up to 70% of its advertising revenue from pharmaceutical companies, continue to censor any negative information regarding vaccines that could affect sales. And since one cannot sue a pharmaceutical company for damages or deaths due to vaccines in the United States, where they enjoy legal immunity, it is rare that a pharmaceutical company faces a day in court related to corruption or fraud for bad vaccine products. Therefore, one needs to turn to either the alternative media such as Health Impact News, or the foreign media outside the U.S., to learn about the dangers of vaccines, and the corruption behind many of them. There are currently two major federal lawsuits against Merck that are being litigated in U.S. courts: a whistleblower lawsuit from former Merck scientists claiming fraud regarding the MMR vaccine, which has been in the courts for eight years now, and a lawsuit against the Gardasil vaccine claiming fraud from a 16-year-old girl who allegedly suffered Postural Orthostatic Tachycardia Syndrome (POTS) after receiving the Gardasil vaccine. The Alliance for Natural Health, USA division, has just published a new documentary film on the HPV vaccine titled: Manufactured Crisis: HPV, Hype & Horror. The synopsis of the film states: "The pharmaceutical industry used faulty research, paid doctors and manipulated the media to push an unsafe vaccine onto the market. They used political pressure to force this vaccine onto the public, despite any demonstrable public threat. The result has been the devastation of many young girls’ lives. Through interviews with leading experts, victims, and our own analysis of the vaccines themselves, the Alliance for Natural Health uncovered a conspiracy of greed that is being perpetrated on families around the world." A documentary film trilogy, Sacrificial Virgins – which investigates widespread global concerns over the safety of the controversial HPV vaccines Gardasil and Cervarix – was today doubly honoured with awards for investigative journalism at the Watchdog Film Festival, held in Brisbane, Australia. 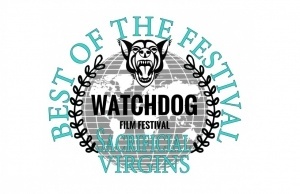 As well as the prestigious Best of the Festival award, Sacrificial Virgins won the Watchdog Spirit Award in recognition of the investigation “in search of truth and justice” by film-maker Joan Shenton and her colleagues, notably director Andi Reiss and film editor Ollie Richards. Festival founder and director James Hyams, himself an investigative journalist, said: "Joan Shenton's thorough, transnational investigation in search of truth and justice deserves recognition and thus the Watchdog Film Festival has awarded her and her team the Watchdog Spirit Award. Shenton's documentary Sacrificial Virgins questions the safety of the HPV vaccine by illustrating that many individuals correlate the onset of a disability or the death of their daughter with the vaccine. Shenton questions medical professionals about the methodology of the HPV clinical trials and develops a case that further scientific research needs to be conducted to alleviate growing concern about the risks and benefits of the HPV vaccine." Joan Shenton, who wrote and narrated Sacrificial Virgins, said: "For the investigative journalism in Sacrificial Virgins to be recognised in such a way by the Watchdog Film Festival is incredibly rewarding. Investigative film-making, often done in the shadow of powerful commercial and political concerns that don’t want you to be heard, can be lonely and sometimes a little frightening. Professional appreciation, especially of such a caliber, touches our hearts, not least when we are told the awards include Best of the Festival." Hayley Willard was one of the first to receive a Gardasil vaccination at 15 years of age in Newfoundland, Canada in 2010. Up until then, she was a very active extroverted person who was actively involved in figure skating competitions. Her mother Dana explained that Hayley was a healthy, enthusiastic daughter until Gardasil came into her life, although she had minor short-lived adverse reaction from vaccinations before. But after her Gardasil shot she was showing signs of autoimmune issues. Her energy level decreased, she was easily fatigued and looking pale. Then she became sluggishly lethargic with low energy, began gaining weight, was having migraines, and other symptoms. She complained that she was not feeling right and beside herself. Her skating became erratic and she injured herself while practicing. Cysts were discovered in her ovaries, an area that was never an issue with Hayley before. She began having anxiety attacks that were unusual for her and inexplicable. None of the doctors would even imply that the Gardasil vaccine had anything to with her condition. They wanted to prescribe antidepressants instead. But Dana was intuitively suspicious and began researching on the side effects of Gardasil and other vaccines. She soon began realizing it wasn’t a coincidence that her health issues began immediately after Hayley’s HPV vaccination. Her immune system had been compromised severely. Many reported adverse events that Dana discovered from the HPV vaccine included what Hayley was experiencing, often even worse. But the worst event occurred in 2013 when Hayley was diagnosed with leukemia. The HPV Gardasil vaccine is a very dangerous and controversial vaccine, and world-wide many countries are now removing their recommendations for children to receive this vaccine. Currently, this vaccine is NOT part of the CDC required vaccinations for school children, so Florida legislators, for some reason, want to add this to the schedule of the many vaccines already required for school-age children. Health Impact News has documented many stories of young women who have had their lives destroyed by Gardasil, and some have died as well. Your action is needed to help stop the State of Florida from mandating HPV (human papillomavirus) Vaccines for all school children, girls and boys. The government agency is now telling adult women to get these multiple Gradasil shots. Speaking to The Washington Post, a Centers for Disease Control and Prevention (CDC) epidemiologist is encouraging women aged 18-26 to get the HPV vaccine. This advice, along with health authorities encouraging young girls (and boys) to get vaccinated for HPV, ignores mounting evidence that the HPV vaccine is among the most dangerous vaccines out there. A World Health Organization study demonstrated that the vaccination has a tendency to produce clusters of serious adverse events. Other evidence indicates that the HPV vaccine is responsible for more adverse events than any other vaccine. This is just the tip of the iceberg. Consider these facts. About 50% of sexually active men and women acquire the HPV virus at some point in their lives. 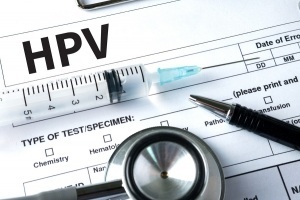 If a woman who has been exposed to certain strains of the virus submits to HPV vaccination, some studies suggest that the risk of developing pre-cancerous lesions may increase by as much as 44%. The point is that there are serious questions about the safety of this vaccine that should be answered before government health officials issue blanket recommendations for women and girls to get vaccinated for HPV. 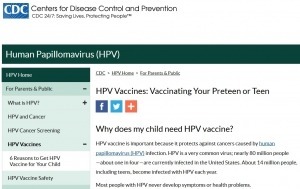 13 Reasons Why The CDC is Right and Your Child Needs the HPV Vaccine 1. You don’t care that the HPV vaccine program was halted in Japan. The Japanese government stopped giving the Gardasil vaccine in 2013 after health officials recorded nearly 2,000 adverse reactions, according to the Tokyo Times. Too bad, so sad. Who cares? What do the Japanese know, anyway? Ah, right. Japanese health authorities recognized that the whole-cell pertussis vaccine was causing brain damage in healthy children and introduced a safer and equally as effective vaccine in 1981, a full SIXTEEN YEARS before American health officials paid real attention and recommended an acellular vaccine for widespread use in the United States… 2. The side effects of the HPV vaccine don’t concern you. 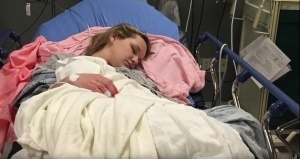 Reported side effects from the Gardasil vaccine include fainting, seizures, brain damage, paralysis, speech problems, short-term memory loss, pancreatitis, and even death. But what’s a little death compared to preventing cervical cancer? 3. You don’t give two hoots about Shazel Zaman, the 13-year-old girl who started vomiting immediately following vaccination. Shazel Zaman was so dizzy and had such a severe headache that she ended up in the hospital. 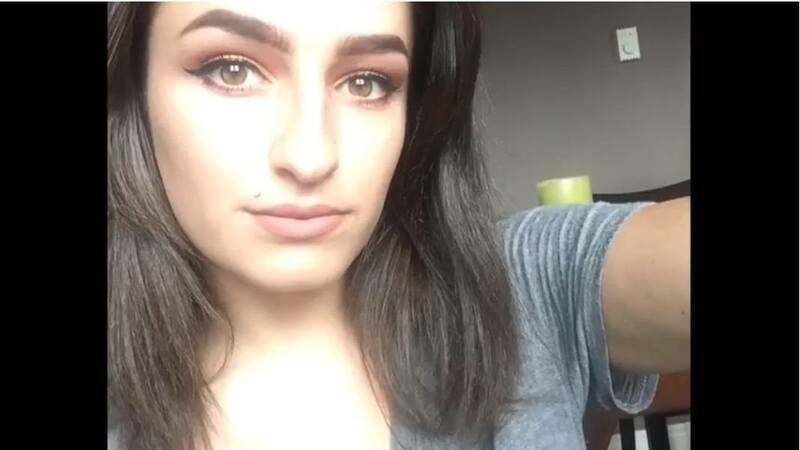 Shazel Zaman died five days after receiving the HPV vaccine at Derby High School in England. Just another unfortunate coincidence!